When Heidi and I were both teaching 2nd grade, we had a dream. We had a dream of THE IDEAL WORD STUDY PROGRAM. It never quite seemed like the methods we used covered ALL the bases. Our routines weren’t as polished as they could be. Using all the different methods we we liked was hard to manage. The pieces didn’t fit well together like we would have like. We had to create the majority of the resources we wanted to use. But that dream of the IDEAL WORD STUDY PROGRAM never went away. We wanted a program that covered absolutely everything we needed to teach phonics and spelling. We wanted parts and pieces that all made sense together and didn’t overlap. We wanted a program that was easy to manage. We wanted a program that was low prep. We wanted to cut out busy work and focus only on meaningful experiences with words. Since we couldn’t find that dream phonics program, we decided to create it ourselves. And that’s how Word Play Phonics was born. We tested out methods in our own classes. We tinkered and changed and perfected our ideas until we finally found a way to bring everything we wanted together into one cohesive program. It is the phonics and word study program that we always dreamed of for our own students. Word Play Phonics is a developmental word study curriculum that allows you to differentiate instruction to your students with a program that’s easy to manage. It’s teacher friendly and student engaging. There are 5 main components of our phonics curriculum for 1st and 2nd grade. Each component brings a different type of phonics instruction and practice to the table and we believe that using this variety of methods is the key to success with word study. If you’ve read our blog for long, you’re probably familiar with the idea of Chunk Spelling. It was the first area of our Word Play program that came into place because we’ve been using this method the longest. Chunk Spelling is a meaningful weekly experience with words. 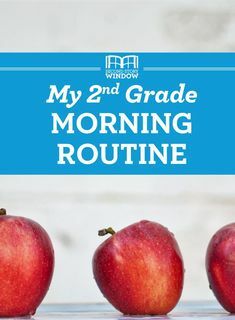 This routine allows your students to learn about how word family “chunks” are the building blocks of words. With Chunk Spelling, students are not only given the opportunity to build words but also to choose which words to practice for the week. Giving students this kind of ownership over their learning is powerful! We also offer an optional tri-fold menu of activities that can be used for homework or in class word work with the week’s spelling chunk. 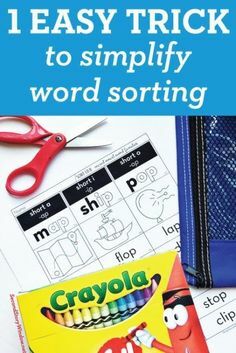 Word sorting is a powerful tool for getting students thinking about words. But managing many levels of word sorting groups can be overwhelming and time consuming. With our differentiated word sorting system, we help you group your students into three easy-to-manage levels. Then we provide everything you need for an effective and simple to manage differentiated word sorting program. And bonus: it’s low-prep! Students need opportunities to work with new words and phonics skills in authentic literary experiences. We provide that with our original weekly word family poetry. In just a few minutes a day, you can use these engaging original poems to practice fluency, learn about poetry, practice sight words, deepen comprehension, and have experiences with words in context. It packs a powerful punch in a fun and quick lesson! With the push for differentiated instruction, whole class lessons have started to become less popular. We think that is a mistake! 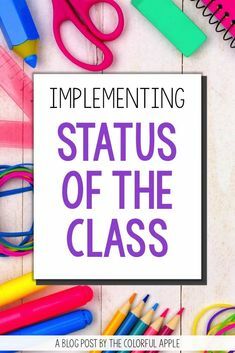 Small group work is an ideal way to really get to know what your students are thinking, but whole group lessons give students a chance to hear from each other! And this is a huge boost to learning! Students often understand things quicker and more deeply when they hear it from a peer. This may be our favorite component of our Word Play program. Each week we include a beautiful, custom-designed game for practicing phonics skills. These games reinforce the grade-level phonics expectation in an engaging game for students. And these games are a great resource to fill up your word work literacy center. We can’t give you this massive program without a comprehensive how-to for organizing and implementing it. Ready to give Word Play Phonics a try? TRY ONE WEEK FREE! Click below to download a one week sample of both 1st and 2nd grade Word Play Phonics and see why we think this program is so special.We can’t wait to hear what you think! What are teachers saying about Word Play Phonics? I can’t tell you how much I appreciate the thoughtfulness of the whole program. 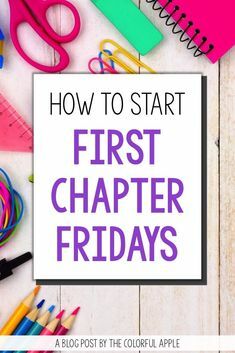 You’ve really “hit the nail on the head” as they say, with differentiation, developmentally appropriate lessons, gradual release of responsibility, working on stamina and accountability. I LOVE it. I’m so grateful for all the hard work you have done. You are truly rockstars! This program is incredibly comprehensive and well thought out. I’m amazed at the level of detail and it’s worth every penny. I’m excited to implement chunk spelling this year and feel so much more confident starting it with this amazing curriculum by my side. If you’re ready to get started with our comprehensive program, head here to shop the full program and all its components on Teachers Pay Teachers. I stumbled across your website late last summer. So, I didn’t have the opportunity to use your curriculum this past school year. However, I’m looking forward to using it this year. However, I do have a question. I noticed that you still had information regarding Words Their Way on your website. Did you continue to use WTW in a different manner once you created Word Play? This looks so amazing! I’d love to use it with my class, but I teach third grade. Do you think the 2nd grade curriculum could be adapted for 3rd graders? The chunk spelling naturally differentiates and the word sorts are differentiated, so it seems like it could work. Would the game cards and poems be too simple for 3rd? Or maybe there are other game cards or activities we could do with the poems in 3rd that would be more challenging? Hi Cindi! I think they could be adapted for 3rd grade, depending where your kids are at. If you look at the scope and sequence for 2nd (In the free download, it’s in the file called MISC), what’s listed for “on grade level” word sort topics is what’s covered in the games. The poems I think could be adapted. The chunk spelling definitely could! We do hope to expand our word sorts and games for 3rd (and hopefully eventually the full curriculum) but that’s a little way off at the moment because we’re in the middle of so many projects. Hope that helps!